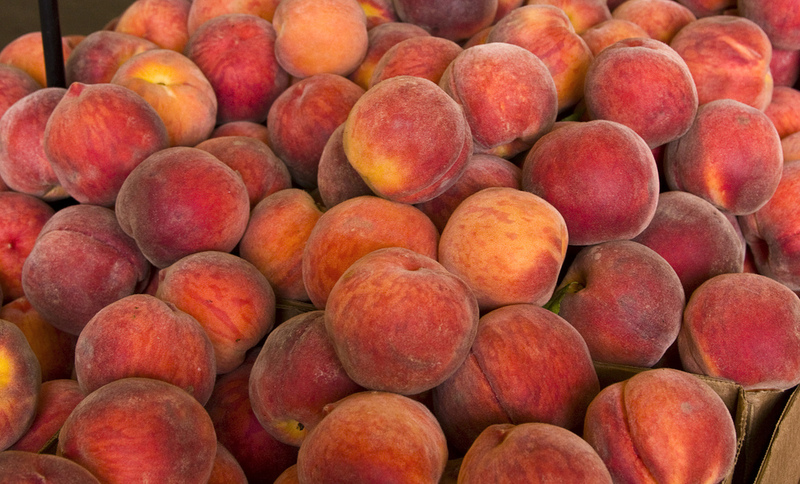 Peaches were among the local foods that KK&P helped get into NYC school lunches. SchoolFood Plus, an ambitious multi-sector initiative launched in 2003 set out to leverage New York City’s school meals as a tool to improve NYC schoolchildren’s eating habits, health, and academic performance. Funded by the W.K. Kellogg Foundation and focusing on the nearly 900,000 lunches the city served children every school day, the work of this five-agency effort included shifts in product standards for an emphasis on local food procurement, creation of new menus, culinary training for cafeteria workforce, classroom curricula focused on where food comes from and how it’s cooked, student taste tests and healthy food messaging in the cafeteria, parent engagement and more. KK&P partnered with New York University’s Wagner School and Market Ventures Inc. to design and implement a multi-year evaluation of this complex endeavour, including both process and outcome evaluations. SchoolFood Plus’s diverse interventions were offered up in different combinations in different schools. Through interviews, program observations, data analysis, plate-waste studies, knowledge/attitude/behaviour surveys and other methods, the evaluation sought to understand how the program was being implemented and what outcomes were taking place. When the first year of the evaluation revealed that progress toward local procurement objectives was slower than other fronts, KK&P shifted, at the client’s request, from the evaluation team to an operations role designing and implementing the local procurement strategy for the New York City Office of SchoolFood. We pursued an “insider” strategy, working with key staff in the Food Technology and Procurement departments and with SchoolFood’s Executive Chef, to understand the rules, regulations and district practices when it comes to procurement. After more than half year learning the operational ropes, we designed a way to increase local procurement within the purchasing system, bid specifications and procurement policies SchoolFood uses, focusing on the foods they already purchase. We started by analyzing food purchases over the course of one year. This analysis provided information about the quantities and dollar amounts of locally produce-able foods purchased over the course of one year; the forms those foods came in (i.e. carrots were purchased in “baby” form snack packs, topped in 1 lb. bags, frozen in vegetable blends, and canned); whether they were purchased on the market or through the USDA commodity programs; and the distribution of these foods by four distributors across the five boroughs. KK&P’s strategy engaged and required buy-in from growers, grower associations, packers, processors, sales agents, brokers, manufacturers, distributors, and most importantly the leadership. Our team worked to build their trust and develop a strategy based on our understanding of their systems, processes, priorities, challenges, capacities, and interests. From 2006 through 2008, we identified suppliers and brokered deals between producers and the four distributors that supply all of NYC’s 1,600 schools. In addition to developing new specifications and bid sheets, we worked with regional manufacturers, growers, and packers. In just over 2 years, we successfully brokered deals for more than $5 million of regional foods. This work contributed to the instatement of “geographic preference” in the 2008 Farm Bill for any institution that receives funding and/or reimbursement from the USDA for children’s meals. Schools in the U.S. may now specify local and regional foods, as it was qualified during our work that doing so does not obstruct interstate commerce. In 2010, we were retained again to advise the Office on developing definitions and standards for regional and local foods. With these in place, NYC Office of SchoolFood is now purchasing more than $25 million of local foods each year.